Where can drivers find a trustworthy and reliable Mercedes-Benz service center in the St. Louis area? 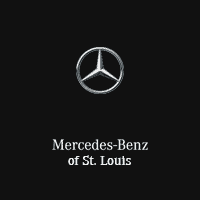 Mercedes-Benz of St. Louis has a premier auto service center staffed with knowledgeable certified technicians, and we’re ready to meet and exceed your every need. Free Shuttle Service. Drivers near St. Louis never have to put their busy schedules on hold when they bring their vehicles in for service. Our complimentary shuttle service will transport them to and from our auto service center while their vehicle is in our shop. Genuine Mercedes-Benz Parts. Our auto service center carries out all repairs and replacements with genuine OEM Mercedes-Benz parts from our parts center, ensuring that your vehicle runs properly and efficiently long after you drive it off the lot. Auto Service Offers. We offer our customers a wide variety of special service offers, so you can receive great vehicle service for an even greater price. St. Louis area residents should keep a close eye on our service specials, as we’re always adding new offers to take advantage of. Whether you’re right in our backyard or located out past Frontenac, our online service scheduler makes it easy to get the first-class Mercedes-Benz service that you need. Get in touch with our team by phone, or by completing our easy-to-use contact form. Our new service department allows for 22 vehicles to be worked on at the same time!